Driving to visit my younger brother's in-laws is always a beautiful experience. Make that bliss when it rains. Took this on one such ride, from inside the car. 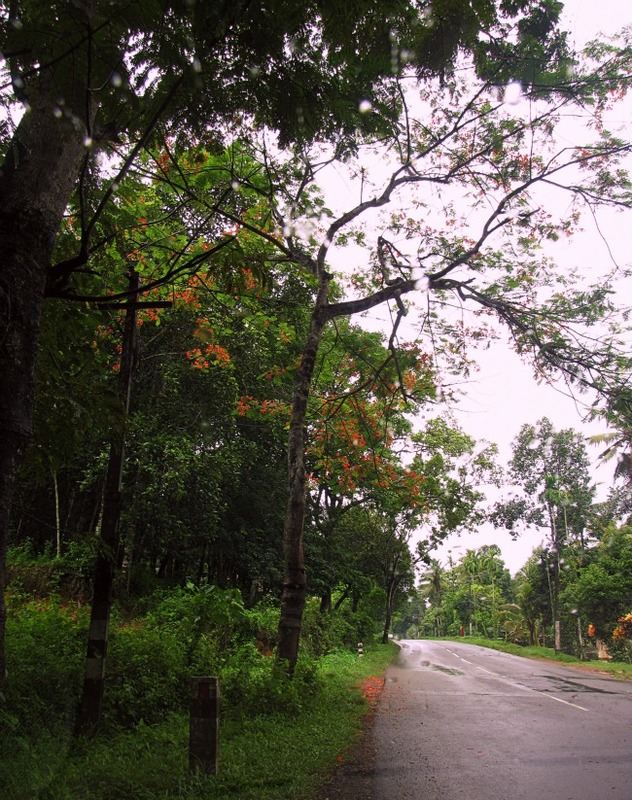 Good roads, graceful corners & tall trees hovering over the roads from both sides - you get the picture. And yes, it is definitely better to be biking here - given the scenario.